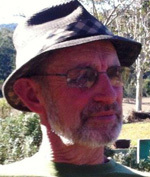 “I have just returned from Ewaninga, Central Australia where millennia of art making, song, dance and ceremony, echo in the circles of the petroglyphs. It’s a bright spring morning and a pink galah alights on grey branches in the nitrogen blue sky. I read in my book ‘everyone knows the usefulness of what is useful, but few know the usefulness of what is useless’, a quote from the Chinese philosopher -Zhuang Zi. I was talking to a jazz composer about creativity, we were on the same page with craft and facility and being in the power zone of focus in the studio, where anything is possible and I said, how do you choose? But you find your path. Art making is about climbing the mountains of your mind, you go on rocky roads and ravines, plateaus and pinnacles. Sculpture is a vehicle to take that journey, though I don’t know where it ends because one sculpture begets another and so you go on and on. 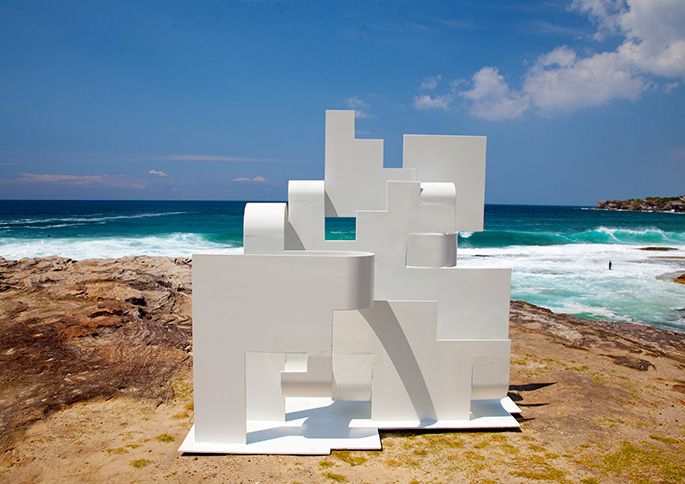 Paul Selwood, ‘The Museum’, Sculpture by the Sea, Bondi 2013. Photo S Burns.